The American Century Theater Performs Edward Albee's Seascape, a Pulitzer Prize-Winning Comedy-Drama, July 30-August 22. Announcing The American Century Theater's 2009Ã±2010 Season: Lanford Wilson, Viet Nam Women, Stalag 17, Faust in Hollywood, and a World Premiere. 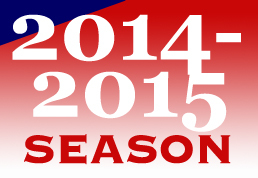 American Century Theater 2008-2009 Season Opens September 9 With Ira Levin Thriller Dr. Cook's Garden. Press Night is Wed., September 10. George S. Kaufman-Edna Ferber's Comedy Stage Door: a "Rescues" production only the American Century Theater would bring audiences: June 21-24.